With a developer account, you get full access to the MapPoint Web Service APIs and staging environment, which you can use to build applications for trial, demonstration, and proof-of-concept purposes. Microsoft Dynamics CRM Account entity already has longitude and latitude parameters for address. But mostly organizations don’t use those parameters. MapPoint web service provides FindAddress service to resolve addresses and returns longitude and latitude parameter as shown in the code snippet below. Location and pushpins objects require longitude and latitude values for address. 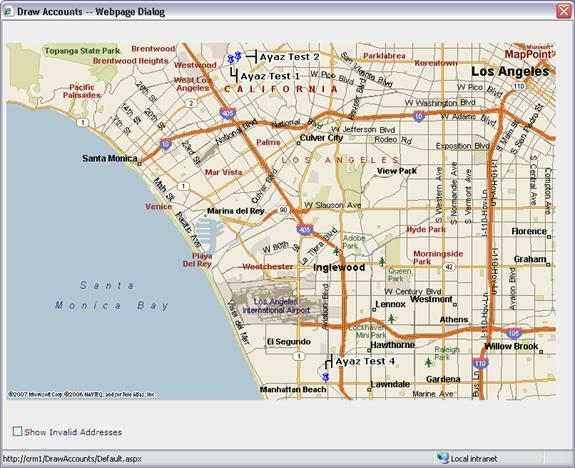 Following code is used to populate Location and Pushpin objects of MapPoint API. There is no simple way to provide hyperlink at Pushpins, although Pushpin label and icon can be set to custom settings. 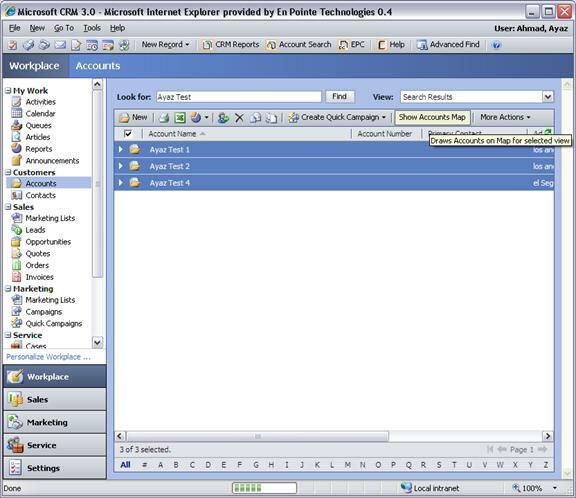 So the final image can be displayed in some ASP.NET page to show in Microsoft Dynamics CRM. Please find below my integration of MapPoint web service with MSCRM. One can select Accounts to be plotted on MapPoint and click Show Accounts Map Button at Account Entity grid toolbar. All selected accounts will be plotted on the MapPoint in a new web dialog with Invalid addresses at the bottom.